kW Phase W/in2 No. Htg. /*Insert 120V for 120 Vac, 240V for 240 Vac, 480V for 480 Vac. /**Insert 240V for 240 Vac, 480V for 480 Vac. 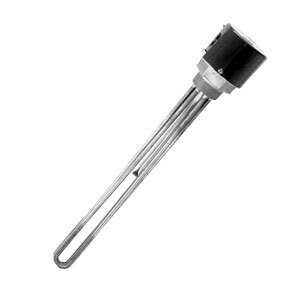 1 Heaters with General Purpose Enclosures are UL Listed and CSA Certified except models with † (exceeds 48 amps). 2 Heaters with Moisture Resistant/Explosion Resistant Enclosures are CSA NRTL/C certified and are not intended for use in hazardous areas. Except models with † (exceeds 48 amps). and table above for valid combinations.